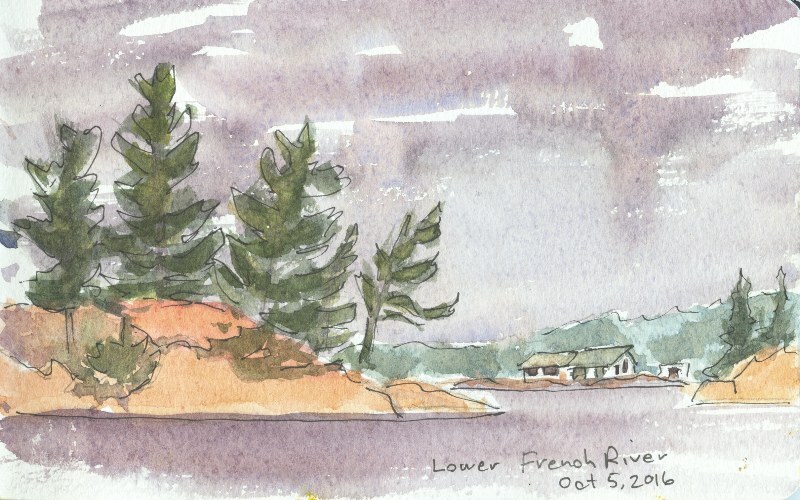 Last week we paddled the French River from end to end in seven days. They were, for me, long days. We were up with the sun and landed on our campsite with about two or less hours of sunlight left. This meant that there was little time for painting however I did manage a few mediocre paintings. 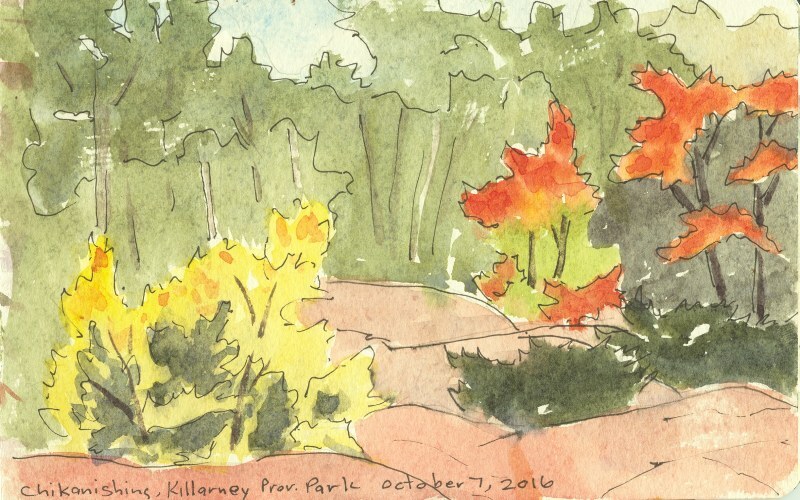 I will post more about the paintings later but for now here are some quick sketches that I did in my journal along the way. All are 5" X 8" watercolour wash and ink in a Moleskine book. 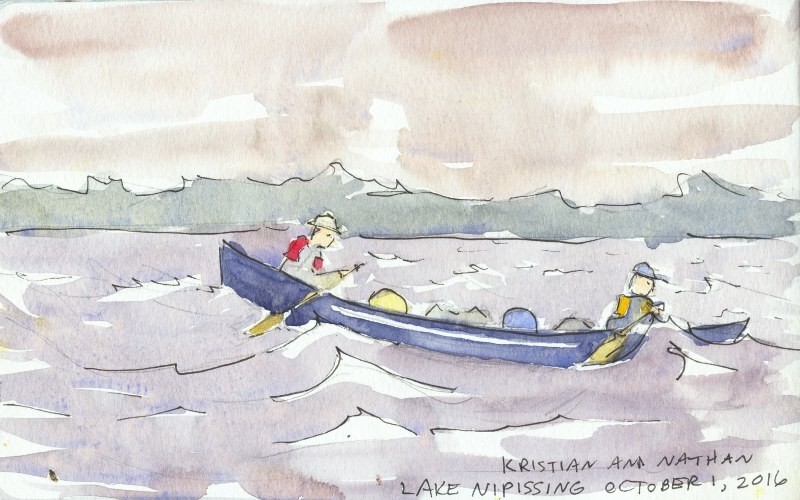 This is our first day on Lake Nippissing. We ended up turning back because the waves were breaking over the bow of one of the canoes. 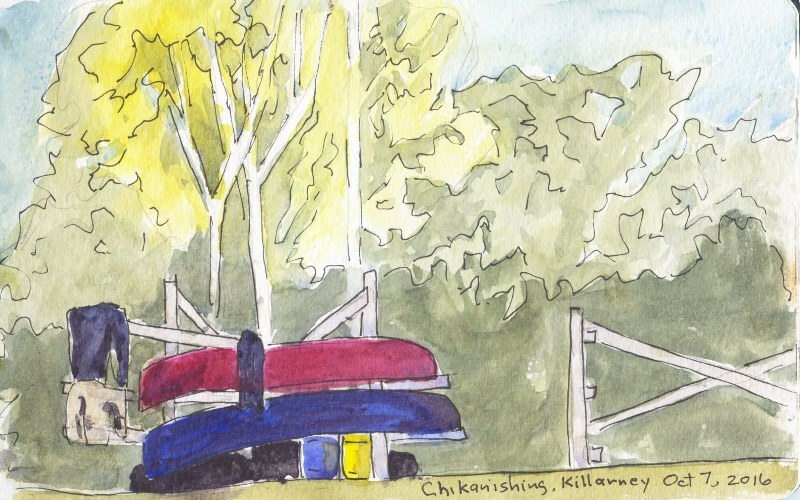 This was painted during a lunch break on the Lower French River. 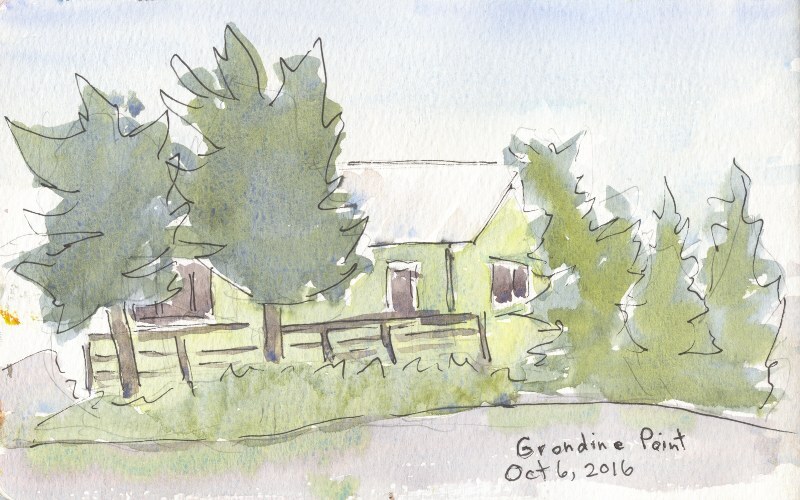 This is a cabin on Girondine Point which is in Georgian Bay between the French River and Killarney. The cabin is open to anyone who needs shelter. We didn't at the time but we checked it out anyway. A very cool building. 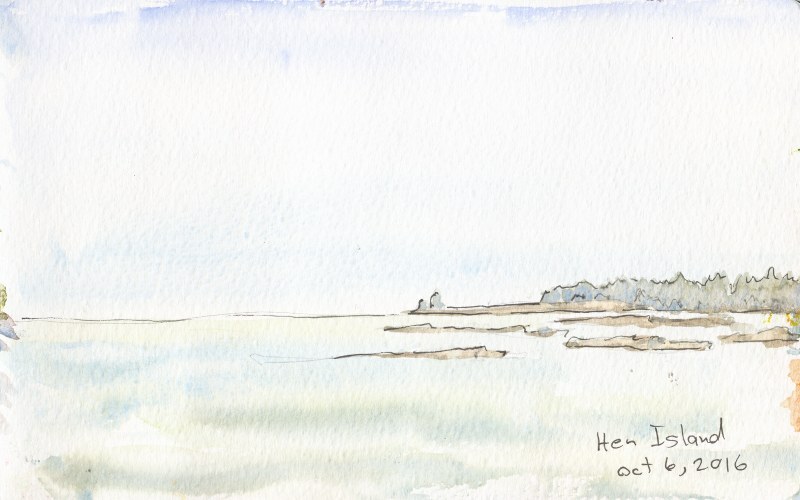 This was painted during lunch on Hen Island in Georgian Bay. The small islands in the picture are called the Chicken Islands. It is one of the most breathtaking views that I have ever seen. 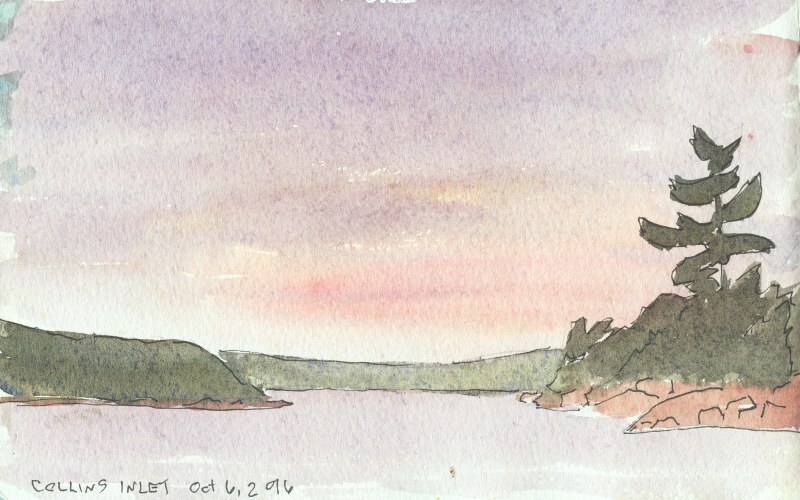 This was painted from our campsite in Collins Inlet. Apparently the channel is full of yachts in the summer but in October we had it to ourselves. 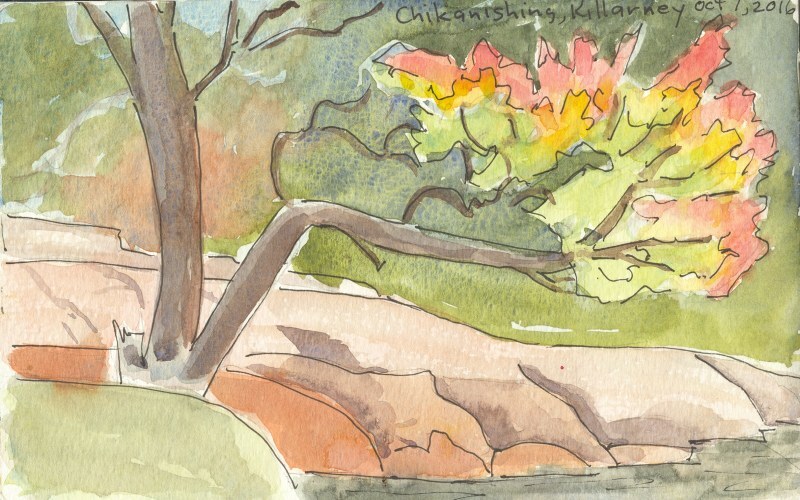 These last three were painted at our take out point at Chikanishing. I had a three hour wait while the other guys went to retrieve our vehicles.